Yogacharya Vacaspati Dr. Ashoke Kumar Chatterjee, author of this book was born in 1933 in West Bengal. The sudden demise of his mother when he was away in service intensely agonised him. He grew averse to material pursuits and became spiritually inclined. He received initiation in Kriyayoga in April 1961. He reached the pinnacle of Kriyayoga within a short span. His three Gurus were stalwarts in this discipline. His first Guru was Sri Annanda Charan Sasri (Bhattacharya) disciple of Panchanan Bhattacharya, an elevated disciple of Yogiraj Sri Shama Churn Lahiree. After Sastriji's demise, Dr. Chatterjee obtained initiation from Sundarlal Lala of Varanasi, disciple of Sri Harinarayan Paladhi, who was the disciple of Yogiraj and later from Sri Satyacharya Lahiri, grandson of Yogiraj. Today Yogacharya Vacaspati Chatterjee is acknowledged as a World Kriyayoga Master. Being an ardent devotee of Sanatana Dharma's Polestar, Yogiraj Shama Churn Lahiree and to propage His ideals and tenets before the masses so that they derive the right path, the right enlightenment, he has penned many books in Bengali, illustrating the science of Kriyayoga. Most of his books have been published in Indian languages like Hindi, Oriya, Telugu, Marathi, Gujarati, Tamil, Malayalam, Assamese editions are awaiting publication. 'Purana Purusha Yogiraj Sri Shama Churn Lahiree' has been published in French also. His other books (English editions) are also awaiting publication. He has authored quite a number of articles delineating the science hence rationality of Kriyayoga. He has founded 'Yogiraj Shyamacharan sanatan Mission' and the temple of Yogiraj at Kakdwip, West Bengal, India with the objective that mankind can derive the Kriyayoga revived by Yogiraj. He has organised philanthropic activities through this Mission. To further Yogiraj consciousness he has travelled throughout India and in many places in the Orient and Occident. People irrespective of caste, creed, colour, nation, language, Hindus, Muslims, Christians, Buddhists, Jains, untouchables, renouncers, are all coming under his aegis and are finding in him their haven and panacea for all evils. He has a large following throughout India and abroad like USA, England, France, Spain, Canada, Australia, South Korea, Bangladesh etc. The author expounds that all-pervasive Prana is dharma and God. The total creation of man, insects, animals, trees, water, earth, air, fire, sky all have the same dharma and belong to one Master. Yogacharya Dr. Ashoke Kumar Chatterjee was invited as the sole representative from India to participate in the Parliament of World Religions held at Val St. Hugon, France in 1997 convened by Dalai Lama and sponsored by UNO, UNESCO, UNCHR. At this Parliament of World Religions, he upheld the tenets of Sanatana yogadharma to the world with a clarion voice. His brilliant exegesis on the subject of love, peace and solidarity - one world, one religion, one God, one man at the Parliament of World Religions received tumultous applause. All those present at this parliament like representatives from all religions; scientists; philosophers; journalists; the audience; being spellbound by his profound wisdom and eloquence, conferred on him paens of praise. French newspapers commented on him to be a 'wise worthy dignified sage', 'a seer', 'a visionary' etc. A civic reception graced by luminaries from all walks of life was accorded to him on 10th June 1998 in Calcutta. 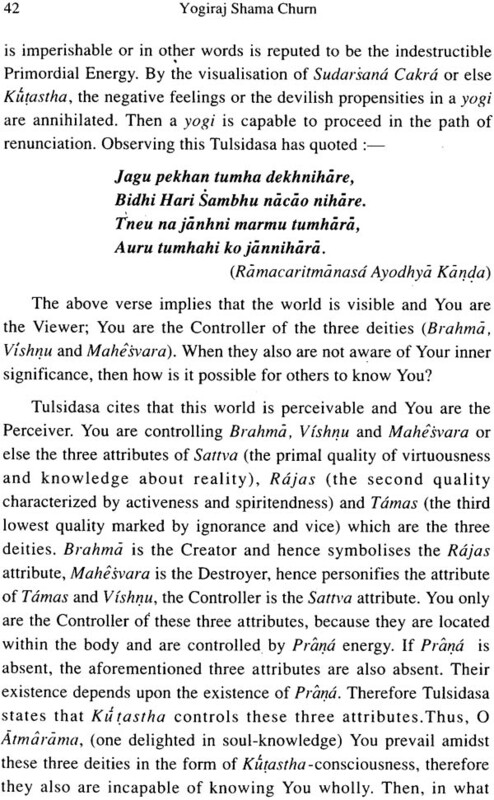 Purana Purusha is the Gita of Satyayuga. This is significant because of the loftiness of thought inherent in the book. Initially, it is certainly not possible for mortals like us to decipher it's intrinsic implication. But of course if we delve deep into it and make a studious effort to glean the latent meaning then surely we should be able to succeed. Again the question may arise, how sure can we be of succeeding to comprehend the depth of thought inherent in it? This is possible only by the Grace of the Sadguru. Who is this Sadguru? Dear reader, I wish to impress upon you one Sadguru. His Grace is showered only if we are sincere and diligent in our efforts. Gita universally is regarded as a scripture. It was narrated by Bhagavan Krishna and composed by Krishna-Dvaipayana-Vyasadeva. Vyasadeva was born in a black island i.e. Kutastha. Kutastha is Krishna. 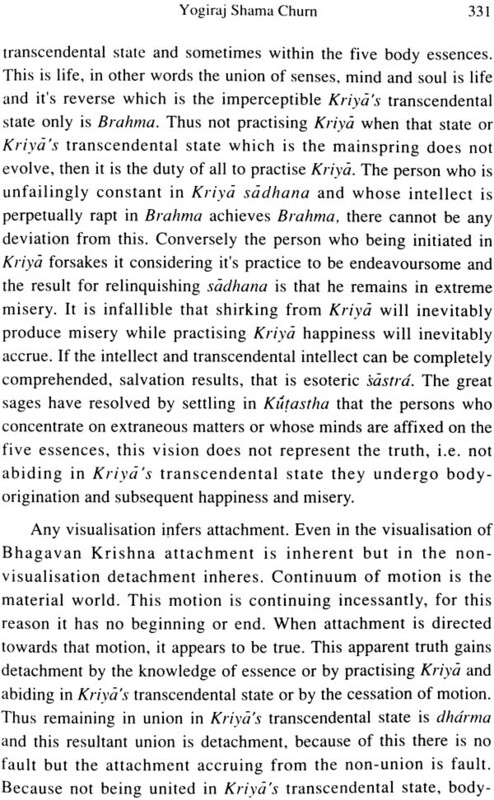 Therefore this infers that Vyasadeva is none other than the partial manifestation of Bhagavan Krishna. 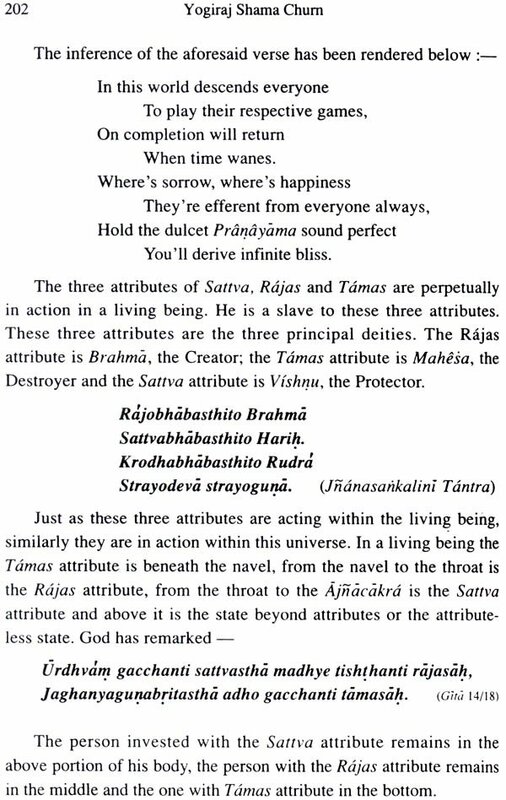 When the Gita was composed i.e. 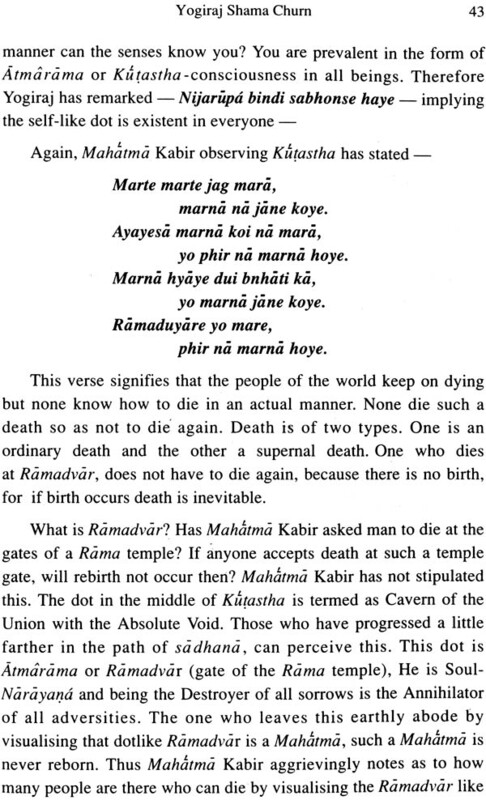 in the end of Dvaparayuga, how many understood its real significance then? But as we note today, it has attained a worldwide eminence. The incarnations (avataras) of God are not His full-fledged manifestations, but only partial. God makes His Advent only at the juncture of two yugas when humanity suffers a religious decadence. However, there may be an exception to this rule when according to His discretion, he may mark His Readvent within a short span. He wholly manifests Himself in the Form of a Human Being to enable us mortals to come closer to Him, to enable, us divulge all our afflictions and joys to Him and also in order to impart His teachings to us. If He appears in any other Form, it would never be possible for us to be close to Him. Being born as a Mortal, he does not break His own rule i.e. He has to abide by the mortal afflictions, sorrows, etc. this rigorous discipline on His part is intended for our upliftment and knowledge. We notice that at the end of Tretayuga (in Satyayuga His Advent was not necessary, because then each and everyone were engaged in Kriyayoga Brahma-sadhana) and the beginning of Dvaparayuga, when 25% of people deviated from yogasadhana, He made His Advent as Bhagavan Ramachandra. Again at the juncture of Dvaparayuga and Kaliyuga when the deviation was augmented to 50%, He appeared as Bhagavan Krishna. 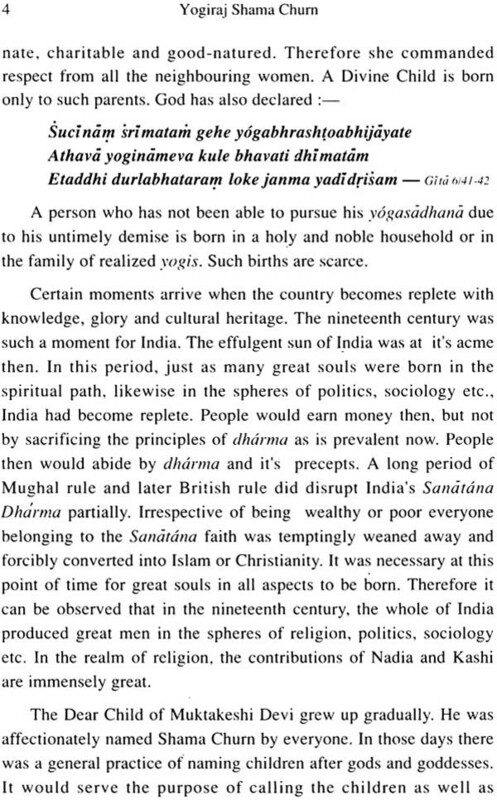 Again during the last phase of Kaliyuga when almost every individual had deviated from the Sanatana path, God appeared as Sri Shama Churn Lahiree and revived this Sanatana Kriyayoga amongst the masses. Now comes the crux of the matter. 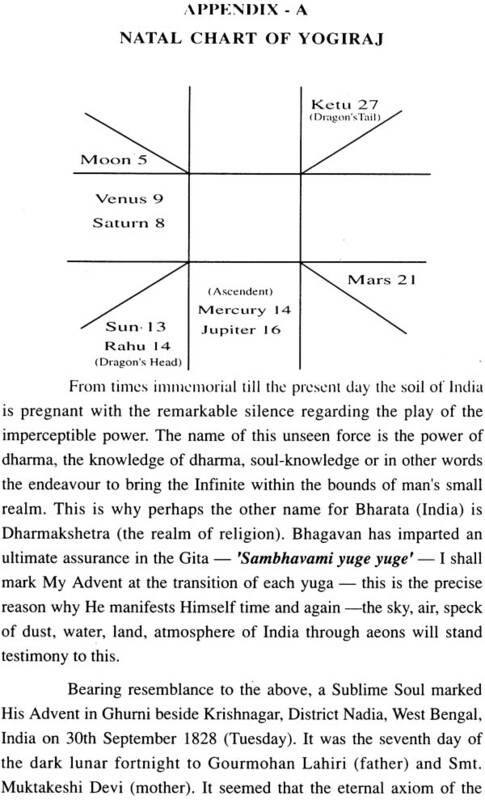 It has been stated that God arrives only at the juncture of two yugas when there is a religious decline. However, there may be an extremely rare exception to this rule. In accordance to His discretion He may reappear. But why should this occur? That is because the occasion may necessitate His arrival. He had referred to this in a subtle innuendo?- Hum phir jagenge- I shall appear again. 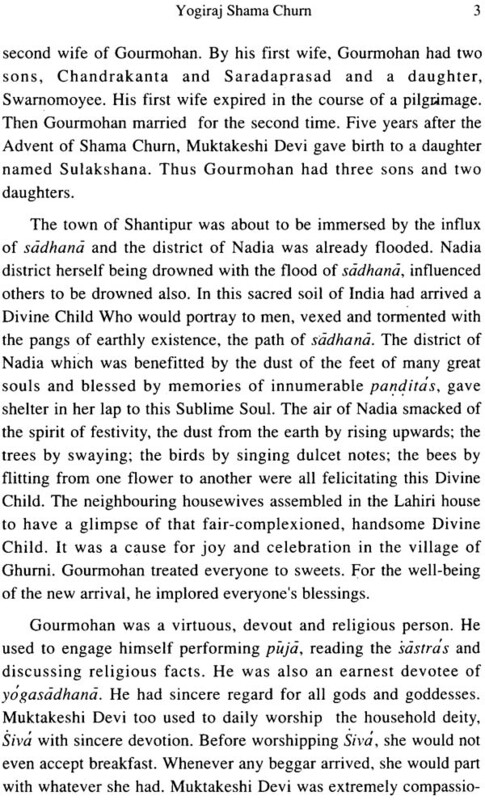 As we go through the book, we will note that Shama Ghurn Lahiree had informed about His Departure to His wife Kashimani devi six months in advance and had asked her to retain His Mortal Frame in the padmasana posture or to place this under the ground of the same room after His Departure, for He would mark His Readvent. 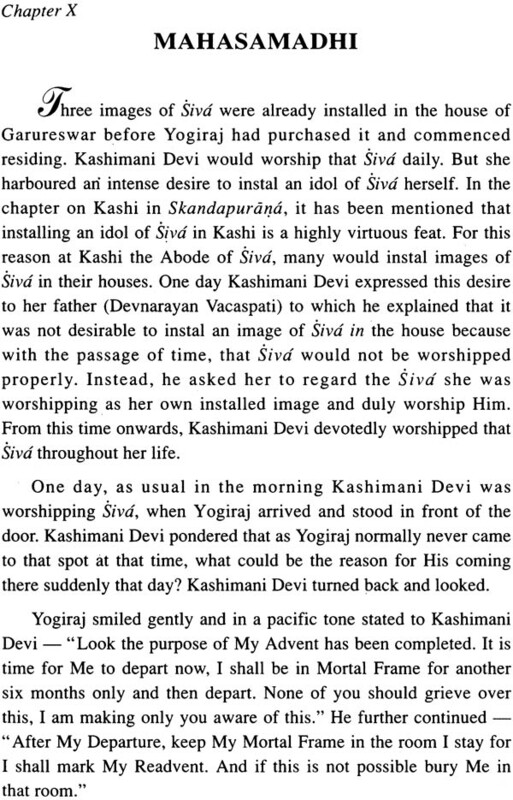 For reasons best known to Him, Kashimani Devi completely forgot this, hence His Mortal Frame was cremated. 1. To compile all His sadhana realizations recounted in His twenty-six confidential diaries in the form of a revived scripture. When God Himself made His Advent at the end of Tretayuga in the Form of Bhagavan Ramachandra, then He Himself did not compose Ramayana it was composed by another manifestation of Him, Valmiki. Again at the end of Dvaparayuga when God marked His Readvent in the Form of Bhagavan Krishna then He did not compose Mahabharata and Gita Himself, this task was accomplished by Krishna-Dvaipayana-Vyasadeva, His alternate manifestation. Likewise, when God made His Readvent at the end of Kaliyuga in the form of Shama Churn, Purana Purusha the scripture manifested in the same manner. 2. 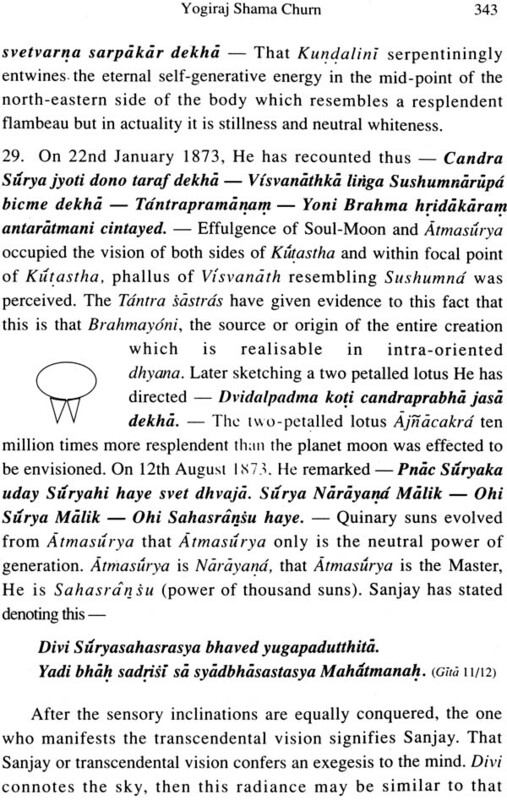 The mammoth significance of the scripture in this age was foreseen, for His principal aim was to re-establish His Own ideals and give declining Kriyayoga a push. 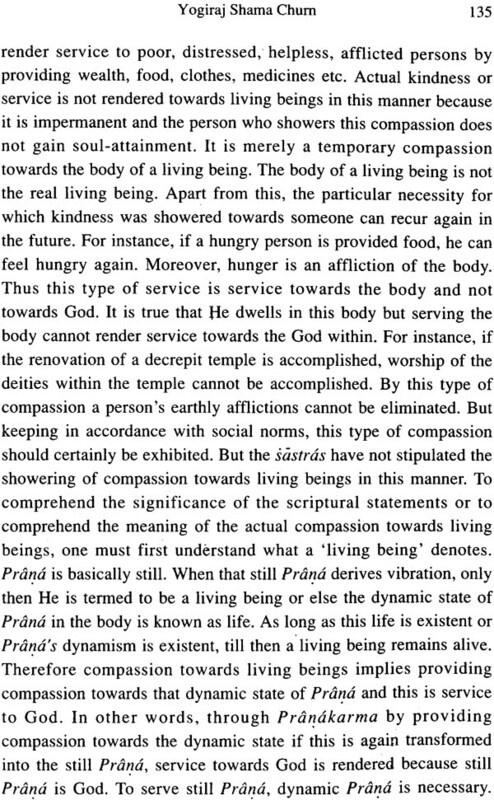 Thus in this manner at the transition of each yuga in accordance with it's respective necessity, God establishes His Own ideals. 3. The world has already entered into Satyayuga after His Departure, but the influence of Kaliyuga still persists. The golden influence of Satyayuga will attain it's full bloom within a short period. He decided to usher humanity into the golden efflorescence of Satyayuga and depart. Thus from this point of time, the full-fledged Advent of God is certainly not necessary till the end of that era which lasts for about 50,000 years. 4. To issue summons to mankind:- "Arise, awake, you have enjoyed enough, suffered enough, known enough. The goal of your human existence should be solely one i.e. to seek salvation. Drawn yourself totally in this Kriyayoga sadhana for if not in this birth, within the successive few births you will inevitably attain salvation" He advises us to be childlike. Just as a child is innocent, surrenders himself totally to his mother and diligently obeys her command, similarly we should posses this childlike attribute and surrendering ourselves wholly obey the Sadguru's command. My Gurudeva has advised us to reorient our lives by constantly ruminating, contemplating, cogitating, communing, reminiscing and discussing on Yogiraj. In other worlds, we should make endeavours for our whole entity to be pervaded by Yogiraj, the Almighty. This is him only message to mankind. Nothing pains my Gurudeva more than the non-practice of Kriya on our part, for his mission is to emancipate us. He will be happy if his objective is fulfilled. No wealth, sycophancy, opulence and murmuring pleasantries will even appease him. Only the practice of Kriyayoga sadhana on our part can propitiate him. 'Purana Purusha' is a composite scriptural work by my Revered Gurudeva Yogacharya Dr. Ashoke Kumar Chatterjee intended to be a biography. But in course of time as Kriyayoga gradually spreads it's tentacles throughout the world, it will bind man towards it and make him realize that this Kriyayoga is the sole and exclusive religion i.e. Sanatana Dharma  that was, that is and that will be. God is one, therefore it is imperative that religion also has to be one. This scripture is aimed at delineating the domestic life, life of sadhana, sadhana realizations and the ideals and precepts of Yogiraj Sri Shama Churn Lahiree. From this we can deduce that to enter the spiritual path we do not need to be a renunciate, we can simultaneously practice sadhana and maintain a domestic existence. 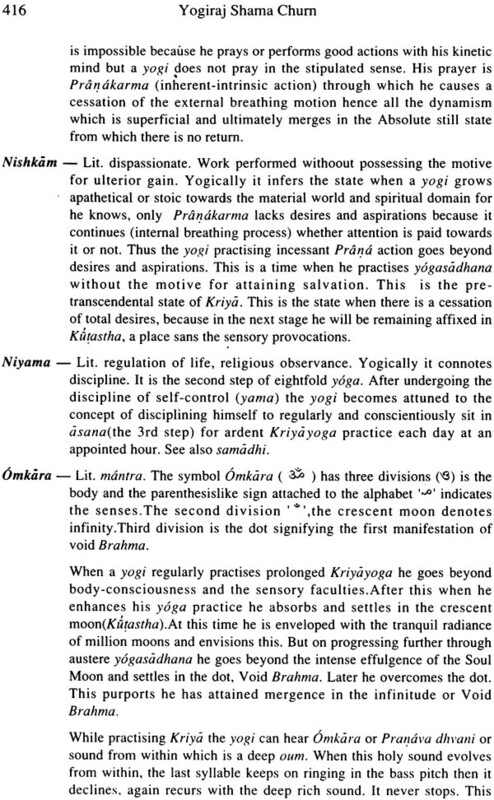 We hereby observe that Yogiraj has beautifully juxtaposed His family life alongwith His life of sadhana. Sanatana Kriyayoga has been revived by Yogiraj and is exclusively and absolutely based on science and rationality. There is no scope of emotion here, I repeat, no emotion at all. My Revered Gurudeva ahs often stated that he has detailed all the facts about Yogiraj from the Latter's twenty-six diaries. Apparently to all of us, this seems to be the truth but have we made assays regarding this? No. we have heard him mentioning this several times, but we have declined to ponder about the actual truth. 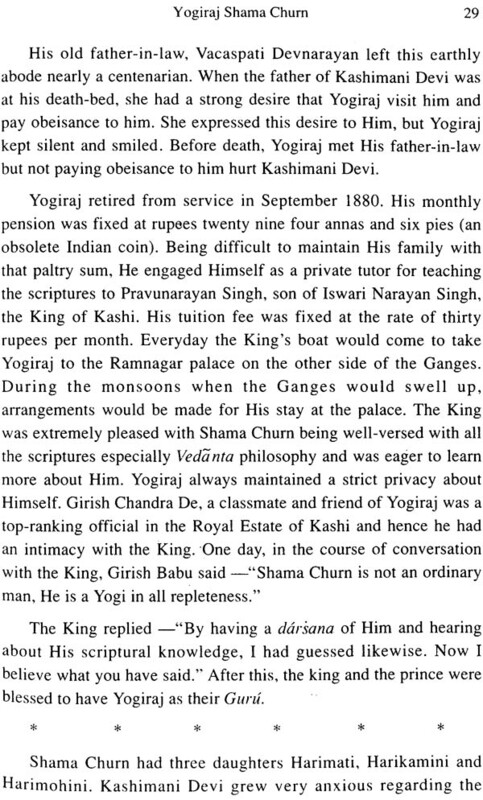 Had anyone of us been assigned this task of compiling the biography of Yogiraj with the help of twenty-six diaries, would we have been able to accomplish this mammoth feat? Never. The author has meticulously detailed each and every fact about the life of Yogiraj  the product being 'Purana Purusha', a scripture for the future generation. Why we would never be able to accomplish this noble feat is simple. Who else can write about the biography of Bhagavan Krishna-Shama Churn? Moreover 'Kriyayoga and Advaitabad' another book of his, is an annotation of one hundred of the several quotations of Yogiraj and his last and final book 'Who is this Shama Ghurn' will reveal to the discerning reader the truth which has since long been concealed. Let us go back to where we began. 'Purana Purusha' has been compared with the Gita. Should not we weigh the magnitude of such a comparison? We must pause and contemplate thus; who else in this world can be the composer of this? Need I say more? I leave it for the reader to ascertain. The ennobling experience of translating this scripture has chastened me, my life having attained a wholly new significance. I bow at the Lotus Feet of my Revered Gurudeva and am grateful for the blessings showered upon me and pray to him to bless soul-seekers, so that in the future they can completely realize the total concept of Yogiraj from 'Purana Purusha','Kriyayoga and Advaitabad' and 'Who is this Shama Churn'. I would prefer the reader to know that it is he only who has penned all my thoughts while translating the book. I am indebted to my Gurudeva who has showered his infinite grace on me for the marvelous realizations I have experienced while working on the translation. These realizations have immensely assisted me in humbly assessing the subtle nuances of the scripture. 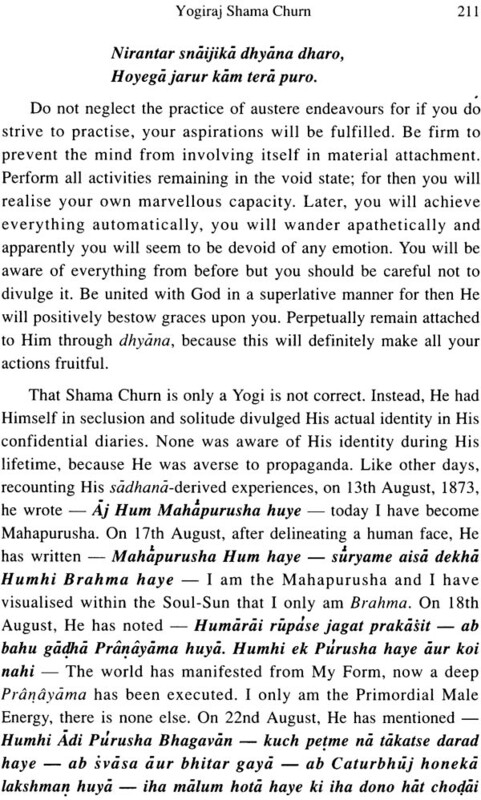 Here I wish to note that apart from showering his infinite grace, he has been gracious and kind to be physically present from time to time (finding time off from his domestic, official, epistolary routine, counseling devotees and practicing sadhana) to guide me verbatim and with meticulous detail so that no fact or theory is distorted as it may prove harmful for the future generation. It is indeed a misfortune that today due to religious groupism, sectarianism, unrest and bartering, the true Kriyayoga as has been revived by Yogiraj is on the verse of extinction. Whatever is being imparted under the guise of Kriyayoga from some corners is basically a sham. Since Kriyayoga is absolutely scientific, this imposture has proved detrimental to quite a number of innocent and devout people who are actually unaware of it's exactness, thereby being deprived. 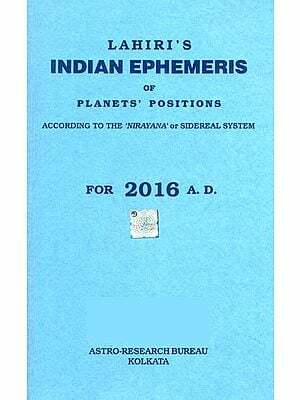 However, it can be vouched that this book will serve as a guide to the reader seeking Kriyayoga which has been revived by Yogiraj Himself. Yogiraj and Kriyayoga are inextricable. He is the embodiment of Kriyayoga. Yogiraj and Kriyayoga are eternal. He is complementary to Kriyayoga. Kriyayoga is the science of the path by which a human being can gradually and steadily progress towards attaining oneness; merging with Yogiraj and becoming Yogiraj Himself. In other words the attainment of salvation exclusively and wholly infers Yogiraj. Since He is the Absolute, He has conferred an exalted position to Kriyabans (ones initiated into Kriyayoga and practicing it) by terming them as yogis and devatas. 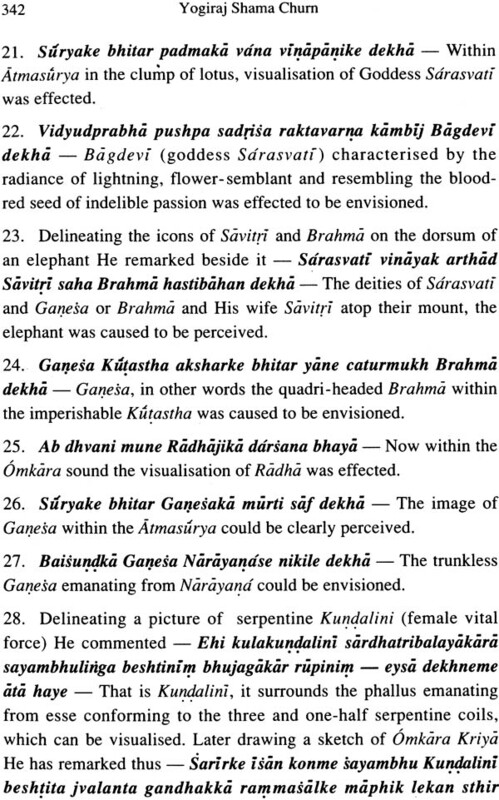 Throughout this sastra 'Purana Purusha', the reader will come across these appellations. Because Yogiraj is the Fountain-Head of Kriyayoga, it is imperative that all sincere, austere, devout and industrious Kriyabans will finally merge in that Fountain-Head, thus Yogiraj has conferred the appellation 'yogis' to them. But in actuality what is the true concept of 'yogi'? 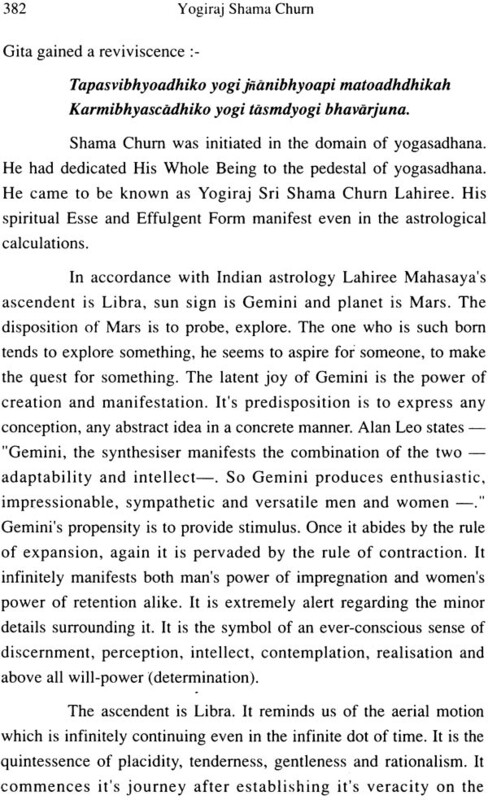 Yogi is One, thus Yogi is Absolute Brahma. A Kriyaban or devata is an aspirant yogi in his path of sadhana. Devata infers one who dwells in void. The root of void is Brahma so all deities merge in Absolute Void Brahma. An aspirant yogi can at the most attain merging; but after he has attained this he becomes One and Absolute, thereby losing his entity and merging with Brahma. But after he has attained this state of mergence, he can neither express this state of merging or express the fact that he has merging with the Absolute become a yogi or god himself. His realization ends at the precise moment he attains the state of Godhood or till he himself metamorhoses into a yogi. Only Yogiraj having the Divine Prerogative to attain the post attainment state of merging has recounted this and thus declared the Omnific Worlds  'I Am God' in His diary which the reader will glean from Chapter-IX. Dear reader, I fervently pray to Him for enlightenment to dawn upon you  that Shama Churn is Indefinable, Unquestionable, Non-answerable, Incomparable, Non-debatable, Unconfinable, Indivisible. He can be defined as; questionable to, compared with; debated for and against; confined within; divided by; none other than Shama Churn Himself. He is Unquestionable for he is Univocal. He is the only and Eternal Truth. This was, is and will be the Absolute Knowledge. So no matter how hard various factions try to establish there credentials in Shama Churn's name, they will die a natural death, for pretentiousness in the name of the Primordial and Absolute cannot exist for long. Soul and Yogiraj are inextricable. Therefore Yogiraj and Soul are Omnipresent. Thus this Omnipresence exists within all of us. In this regard a pithy saying of my Gurudeva may be recalled that this book will be beneficial for soul-lovers in whose lives the influence of Satyayuga has commenced. I wish to make six pertinent points to the reader. The first is that it is absolutely imperative for the reader to keep in mind that this book is not a run-of-the-mill biography. 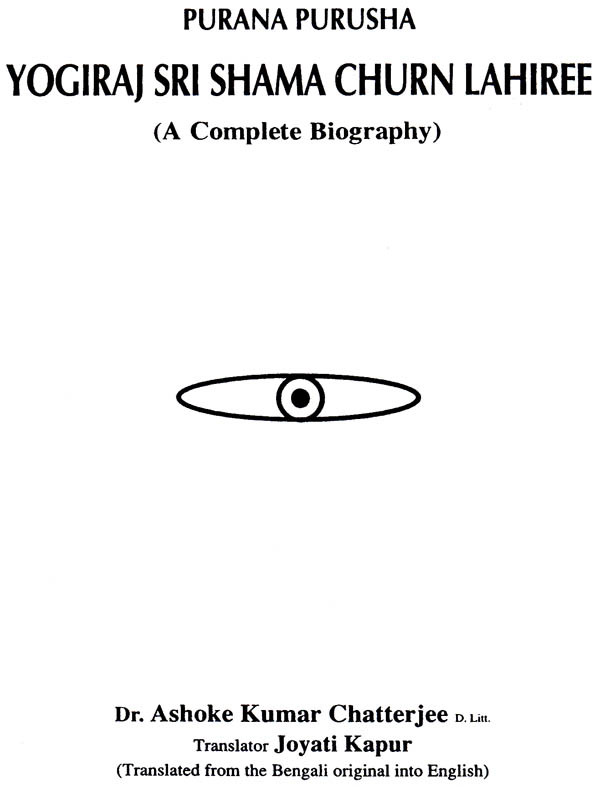 Spiritual and philosophical connotations given in this book are unique. They have been harmoniously represented and blended. In this context I would request the foreign reader to kindly note that since English is an ever-growing language, new words have been coined in this book because of it's intrinsic philosophical concept, which he may not be acquainted with and as this book is based on yoga realizations, the repetitiveness in style is but inevitable. 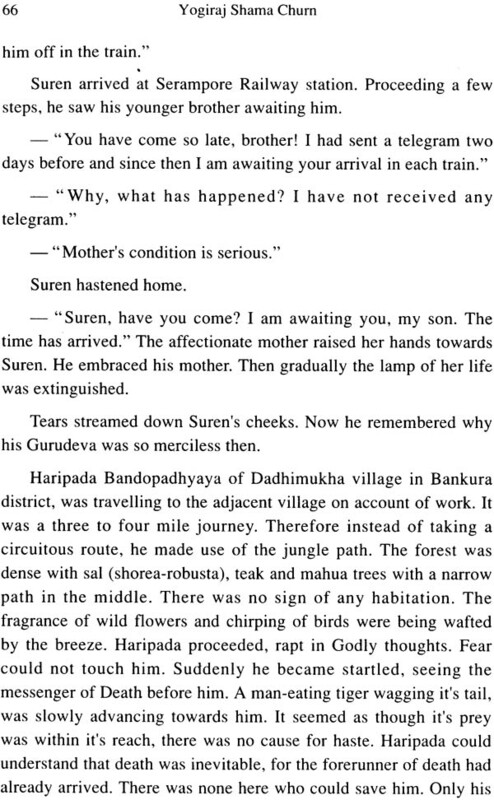 The second is that it has been extremely difficult to exactly translate these connotations expounded in the original Bengali book (first published in July 1981) into English. The principal reason for this is that any Indian language is afferent especially in the yoga concept. But we have been absolutely faithful and established a close harmony with the original, so that the reader can lose himself in the spiritual nuances of Yogiraj. However, certain Indian words on yoga have been retained (for which a Glossary has been provided) so that they do not lose their essence and significance. 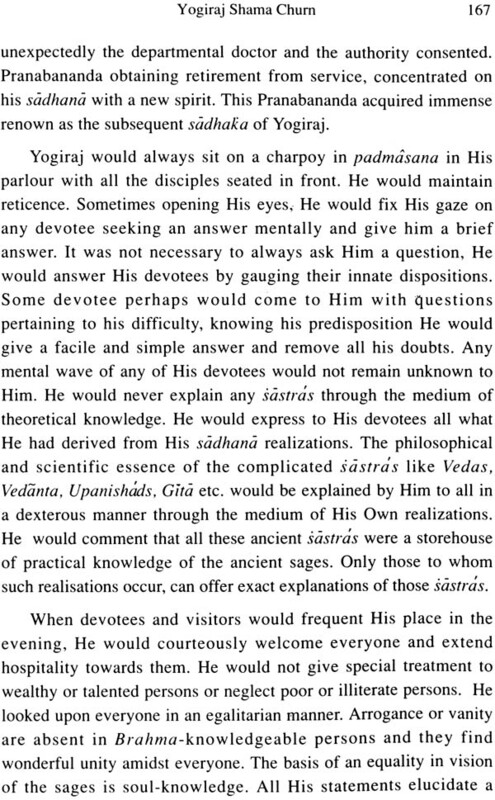 The pedantic style adopted at times should be excused, for it has been used to explain the concept of Yogiraj. The discerning reader will surely envisage that since Yogiraj is God Himself and not Mahapurusha or Avatara, it will certainly not be proper to ascribe phrases or words in common usage to Him, be it in the noun, verb, adjectival or adverbial forms. Therefore, it follows suit that the Absolute need solely be explained in a language coined to be rigorously absolute. Paying due attention to the foreign reader's desire to pronounce these words in the Indian way, we have scrupulously followed the accents in Monier William's Sanskrit-English Dictionary. The third is that epithets like 'visualisation', realisation','visualise'. 'envisage','perceive','realise' etc. used to delineate Shama Churn's progress in the path of sadhana or that of a yogi's are not sensory, they are suprasensory, hence should be regarded as transcendental. Fourthly, the name 'Shama Churn Lahiree' has been spelt in accordance with the spelling He has used in several places in His signature. Fifthly, Shama Churn is God Almighty. 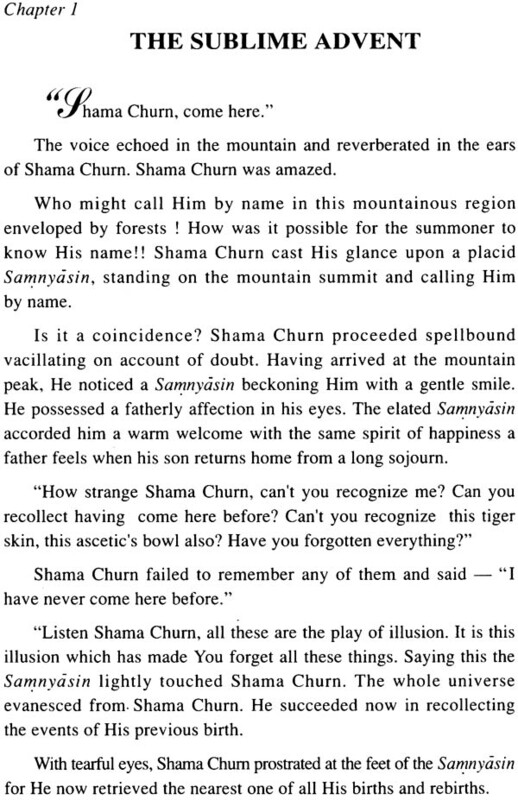 But Shama Churn has been referred to by the pronoun 'He', 'Him', 'His' etc. it is the inevitable truth that God cannot be ascribed by any pronouns but to avoid erroneous grammatical monotony and effect correct grammatical uniformity and a lucidity in comprehension to the reader, the pronouns have been used. God cannot be specified by any particular gender as God is Omnigender, Omnineutral, all genders evolve from him, thus He is free from genders. Finally, it has taken ten years of laborious endeavours to translate the book. The English version is replete with subtle copious details to facilitate the foreign reader to grasp the yoga-essence, which was not necessary in the Bengali original. Therefore the book is greater in volume than the Bengali book and is invaluable. All inclusions in the translation have been done in the author's presence with his due approval. As Shama Churn is Absolute and Almighty we cannot describe Him to be Ambidextrous. In this regard Shama Churn declared thus- "I have no hands and feet. I only am the Orbed Indivisible Infinity. My Effulgence pervades the whole creation". In Sanatana Dharma, the word 'ambidextrous' has been applied to Arjuna, not to God. I conclude here by humbly bowing at the Lotus Feet of My Gurudeva and pray to him to kindly bless all the translations of this book, so that the future generation reveres it universally as a scripture and affirm it to be the be-all and end-all of their lives. Late Gopinath Kaviraj the most eminent and great scholar, and many other illustrious persons expressed their desire that I should write a full length biography of my Departed grandfather, Yogiraj Shama Churn Lahiree Mahasaya. The reason why they were so eager to get me to write such a biography lies in the fact that I possess twenty-six diaries of my grandfather, which were written by Him and that I constantly remained with my father and was his affectionate son, thereby having access to relevant information regarding my grandfather. Most of the saints and sages who adorned the mythological period were all family men. In the midst of their family preoccupation, they practiced sadhana and the direct realisation which they attained cannot be noticed in thousands of years. But though the great Lahiree Mahasaya passed His whole life as a family man serving the government, drawing pension and eventually engaging Himself as a private tutor, He practiced sadhana and through the medium of self-realization, introspection and divine sound made a quest for the spiritual world, which it is doubtful, has been ever achieved by anyone else in this age. It is doubtless that in the path of yoga, after the Great Soul Kabirdas, the only Sadhaka with direct self-realiztion is none other than the Great Lahiree Mahasaya. Many, specially the devotees of the Great Lahiree Mahasaya were under the notion that the Great Kavirdas himself was born again in this world in a noble Brahmin family in the name of Shama Churn Lahiree. Though there has not been any direct proof of this Re-Advent, yet a comparison of the sayings of the Great Kabirdas with that of the Sublime Lahiree Mahasaya obtained from His direct realistions in His own diaries justify the strength and fairness of such a belief. The Great Kabirdas was a householder till he breathed his last, and the Great Lahiree Mahasaya also was the same. Kabirdas used to chant- Rimi jhimi rimi jhimi cadariya bini re (let me weave my sheets in harmony with the melodious rhythmical sound of a weaving shuttle). Having been reared up in the family of a weaver, he took up weaving as his profession but always would remain in sadhana's parabastha (i.e. a state of being totally merged in the Absolute -a state which is achieved only by a yogi through his constant yoga practice). Lahiree Mahasaya also remained in the same state. By perpetually abiding in this state, He too used to perform His daily tasks at ease. This was remarkably wonderful state. Keeping that state in view, Bhagavan Krishna says-Tasmad sarveshu Kaleshu yogayukta bhavarjuna. Yukta asit madparh etc. (for that reason and for all times, oh! Arjuna, be at one with yoga; fortunate to be associated with Shama Churn and find shelter at His Holy Feet, I have heard that He achieved the similar state. Though I am His grandson, being born direct in His sacred family lineage, I was unfortunate not to see Him, because I was born nine years after His Sublime Departure. It is not known to me whether there was any relationship with Him in any of my previous births, but I do presume that a spiritual relationship did exist. Whom I have not seen, or even enjoyed the company of, or had any direct acquaintance with, why I felt such intense love, revenge and devotion towards Him is Known to the Omniscient only. 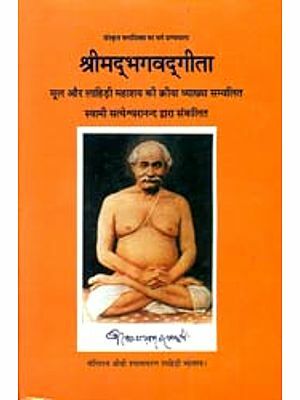 All have been repeatedly reminding me to write a full biography of the great Lahiree Mahasaya, but it is a pity that not being a litterateur, I do not know how to write it. Many have written His biography before, which also appeared in the monthly magazines now then but they are almost like hearsay. But I depend wholly on His Lotus Feet. The hallowed womb of Mother India is the producer of many gems. Innumerable exalted yogis by being born on the soil of India have sanctified the motherland and gratfifed countless men by showing them the path of righteousness. The life-notes of those great souls resonate till today. Their immensely precious biographies have enriched the literature and storehouse of knowledge of the motherland. Great souls existed in the past, exist in the present and will exist in the future. As and when society proceeds, the great souls show the path of light to mankind. 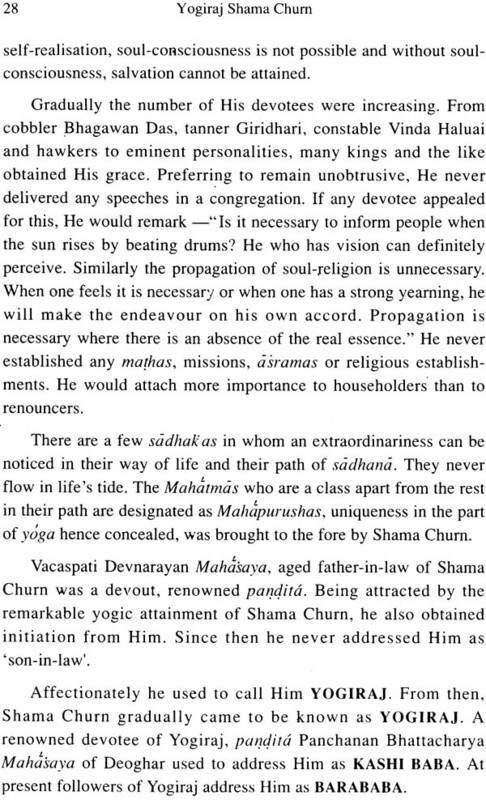 In this manner, to introduce the right path for the right age, Yogiraj Shama Churn Lahiree Mahasaya descended. In spite of the biographies of many great saints having been written, is it necessary to compose a biography of this Sublime Soul? 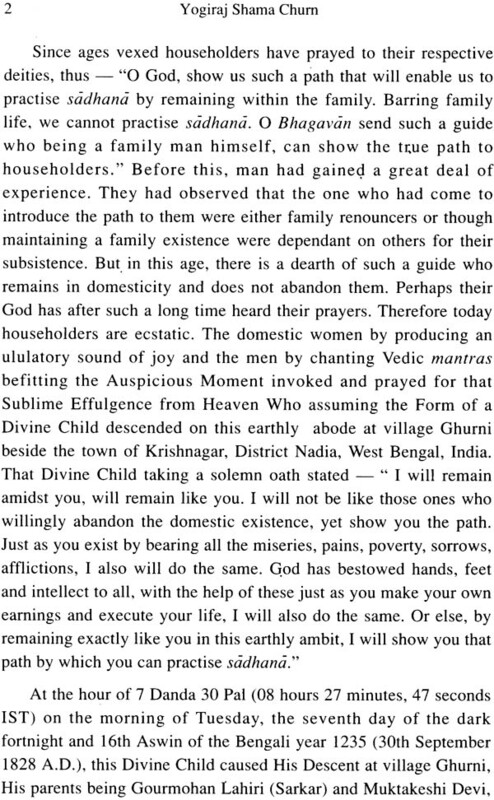 This Soul like any common man by maintaining an unostentatious family life or by maintaining an existence befitting a complete householder; by meticulously performing all the responsibilities worthy of a householder; and by mounting the highest pinnacle of spiritual life, has set an illustrious example to mankind for which humanity is ever grateful and indebted to Him. It is true that before, many have composed short biographies of this Sublime Yogi, but none have till date composed His complete biography. Therefore in accordance with the command of revered Satya Charan Lahiri Maha saya, the youngest grandson of this Sublime Household-Yogi, I have been encouraged to write the biography of this Apogean Esse. But he has repeatedly cautioned me to sequentially arrange true facts and essences, never to include any wrong facts or essences, or imaginary, baseless tales produced by the writer, which have been noticed in previous biographies. 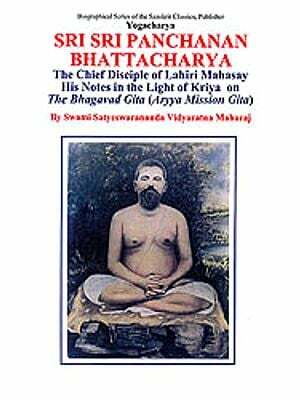 Many erudites and Kriyabans have for a long time been requesting the revered Satya Charan Lahari Mahasaya to compose a complete and factual biography of Yogiraj Shama Churn during his lifetime, because in his absence the correct facts may become extinct. But due to old age and lack of time he could not accomplish this. Therefore he advised me, who was like a son to him, to compose this biography. I humbly appealed to him as to how it would be possible for me to compose the biography of this Sublime yogi? It was a high hope indeed! Just as a small blade of grass cannot assess the gigantic banyan tree, similarly I felt that while writing the biography of this Noble Yogi, I might lose its exactness and authenticity. The venerable Sri Satya Charan Lahiri Mahasaya assuring me made a remarkable statement. He said, "Why do you worry, commence the task, for then He Himself Whose biography it is will compose it. Forsake the attitude 'I am doing' for then you will notice that He Himself will complete the task. Thus I derived mental strength by remembering his message of assurance and engaged myself with the task of writing, my only hope being the Lotus Feet of the Sublime Yogi. Just as a cripple by the grace of Sri Madhava is capable of climbing a high mountain, similarly by the grace of this Great Yogi, I have been able to venture discussing His biography. Many a time I sat with pen in hand, words failing me, but cogitating on Him through Kriya the pen started writing. In this manner day after day, month after month elapsed amounting to fourteen months. It is comparatively easier to compose the biographies of politicians, socialists, poets, authors and other great personalities, because in almost every aspect, their lives bear external manifestations. But in the spiritual world, the live of yogis are exactly the reverse, external manifestations are almost absent there. The biographies of the aforesaid intellectuals are dependent on facts, but the biographies of noble yogis are dependent on essences beyond the sense. Therefore it is very difficult to compose their biographies. 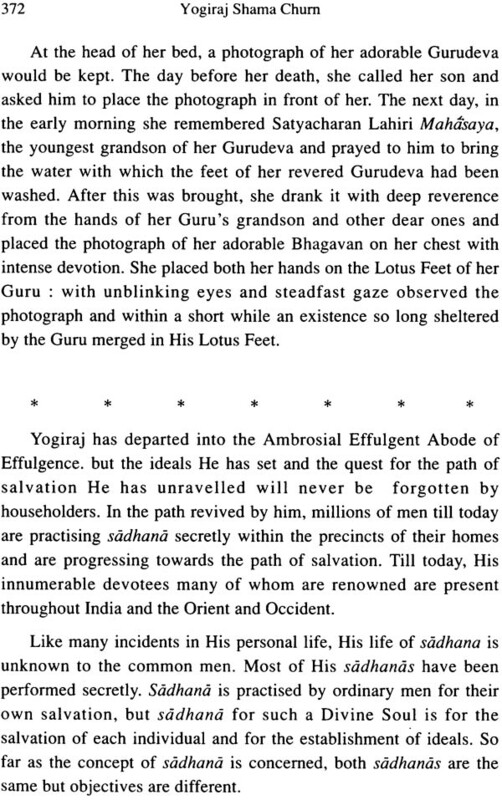 As and when it necessitates yogis exhibit miracles, but the ideals they establish or the path of sadhana which they introduce to mankind for the attainment of salvation is more secret than secretive, the path which if followed by man can enable him to arrive at his ultimate and highest objective and this facet is regarded to be the greatest one in their biographies. Because even after their departure, their established ideals in the path of sadhana keep on continuing for many centuries. Therefore in this book. I have to best of my ability attempted to elucidate the scientific essence of sadhana and it's ideals, as revived by Yogiraj. The conception of common man is that the more a yogi exhibits magnificent miracles, the more greater he is. But our conception is that all yogis are capable of exhibiting many miracles. Judging yogis by this yardstick is belittling them. It is not the appropriate yardstick to understand conversant yogis. Instead, the yogi who without renouncing anything, in a short while has mounted the highest peak of sadhana by practicing the facile and simple yogasadhana is regarded to be the ideal yogi His ideals are extremely acceptable to humanity. Man is bound by social norms, material attachment is dear to him. From the spiritual view point, the domestic existence amongst the fourfold existence of life has been regarded to be the greatest. 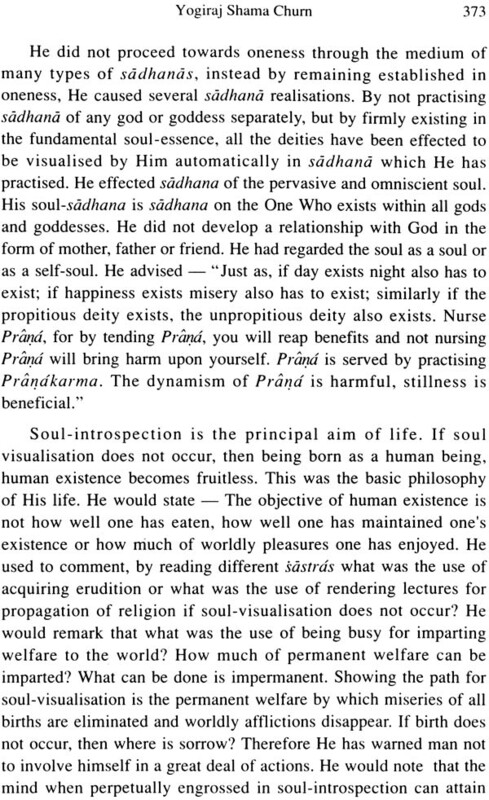 So man desires to practice sadhana by remaining within the orbit of the family. This path is an easy one because it is inherent. The Mahatmas who maintain a family existence like householders enlighten the household people through the currents and crosscurrent of daily life about the path to spirituality; their ideals are ascertained by householders as the beacon of life. 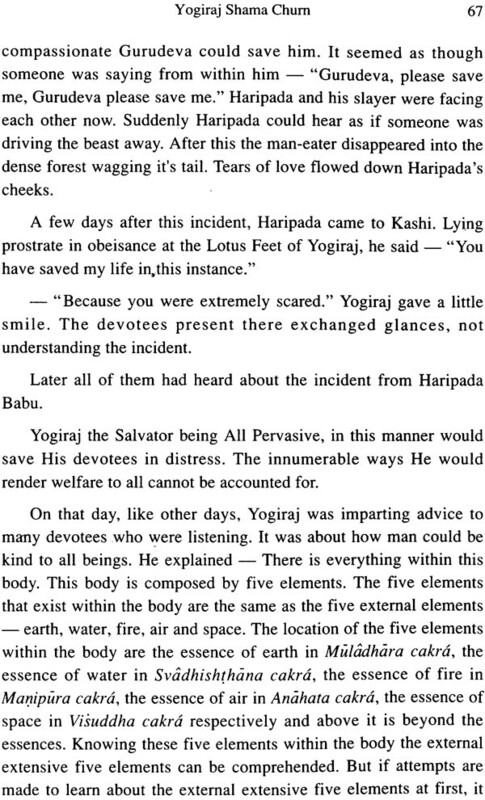 From this aspect, the ideals of this Sublime Yogi are undoubtedly lovable and acceptable to householders. These same ideals were followed by the ancient sages long ago. 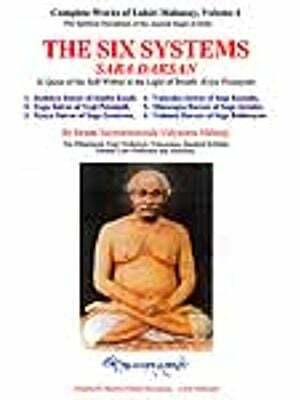 The revered Sri Satya Charan Lahiri Mahasaya by presenting all facts from the twenty-six self-written diaries of Yogiraj, by imparting many familiar details and exact incidents in the life of Yogiraj has enriched this book. 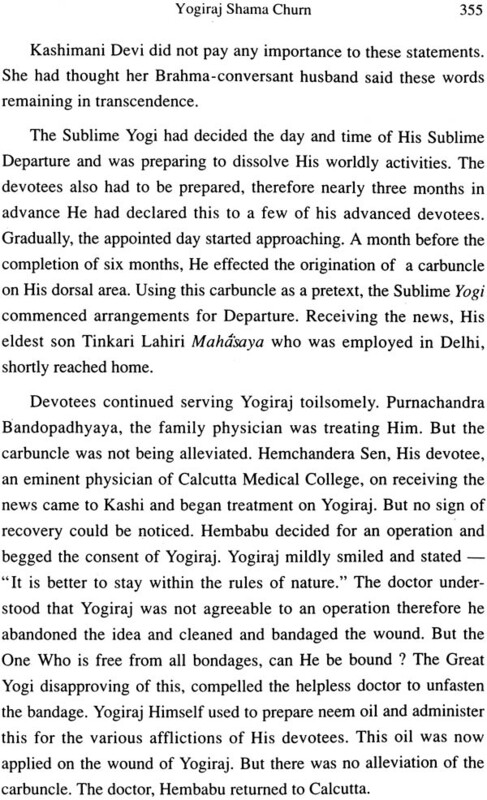 In short, without his active assistance it would have been impossible to obtain accurate information about the life of Yogiraj. Therefore I remember him with reverence for this contribution. In order to present accurate and correct facts, ideals and essences of sadhana pertaining to the life of Yogiraj, explanations of the sastras (scriptures) made by Yogiraj hundred years ago have been obtained; His self-written twenty-six diaries have been specially discussed and taken as a basis; the letters written by Him to His various devotees have been secured; information from widely dispersed devotees of this Great Yogi pertaining to His life's incidents, counsel and sadhana essences have been derived and from the grandson of Yogiraj, Sri Satya Charan Lahiri Mahasaya, their family history and ideals have all been acquired and assembled in this book. I therefore acknowledge my gratitude to all those past sadhakas and to those who have furnished old letters providing relevant information material. I also extend my gratefulness to Dr. Shibnarayan Ghoshal Shastri, Subodh Chandra Mukherjee, Prabir Dutta, Ashok Kumar Sen and all such magnanimous men who have rendered active assistance in various ways for this biography. I offer my prayer to the Holy Feet of the Great Yogi for the material and spiritual welfare of these benevolent and devout men. The essences from the self-written diaries of Yogiraj and facts from His letters to His devotees have been directly incorporated without any amendment or alteration. They have been retained exactly in bold letters and His realizations are included so that those facts do not lose their significance and the statements are not distorted in any manner in the future. The direct statements of almost all great yois are rarely available to future sadhakas because due to the onslaught of time they assume a distorted shape. I hope that by this; the future devoted sadhakas will derive benefit. Incidentally, all the maxims from different sastras in the book and their various explanations which have been conferred are all explanations rendered by Yogiraj or explanations in accordance with His ideals. Many a time many words have been oft repeated to elucidate the realizations and the sadhana essences of great yogis; there was no alternative other than this. Guru kripahi kevalam. The Guru's grace is absolute.